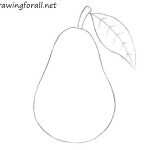 Hello dear artists and welcome to the tutorial created by the artists of DrawingForAll. 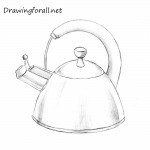 In previous lessons we showed you how to draw a kettle and a cup of tea. 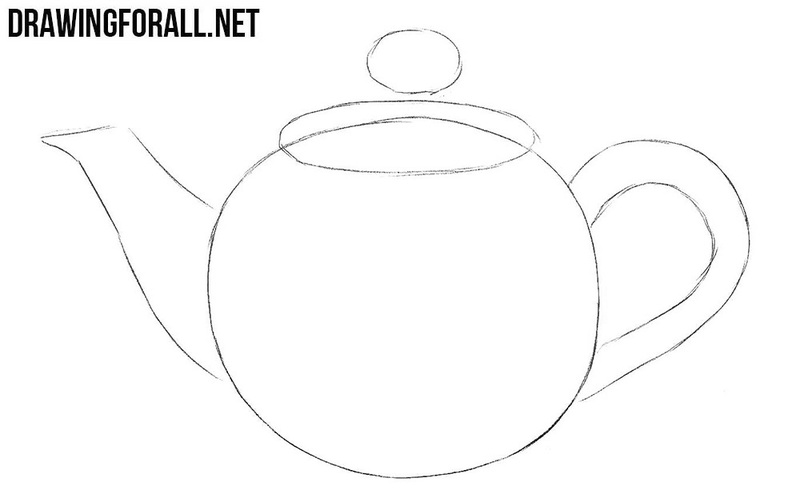 Today we decided to continue this tea theme and made a lesson on how to draw a teapot. 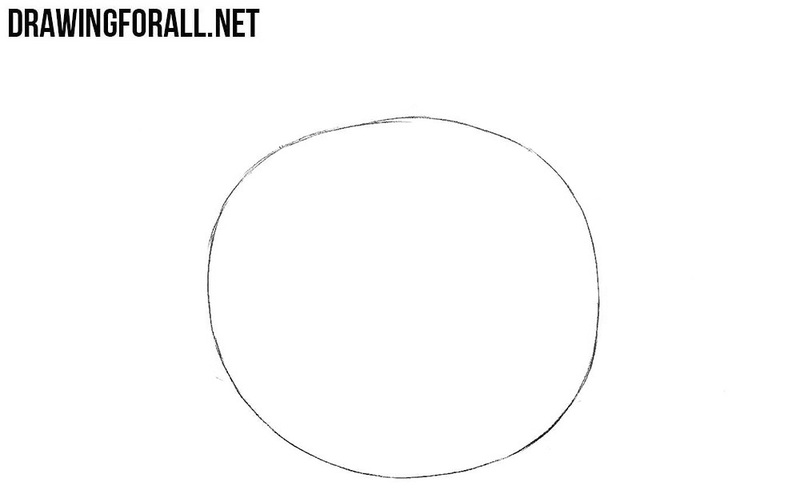 The first step is very simple – here we just need to draw a simple circle. 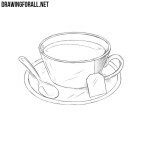 At the top sketch out the lid with the help of an oval and a circle, on the left we draw a spout and on the right a handle. 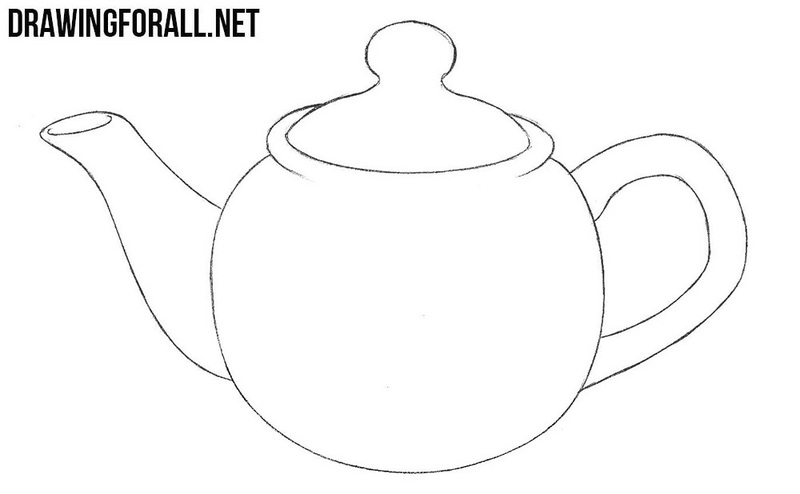 So, now using dark, clear and curved lines draw out the lid of the teapot. 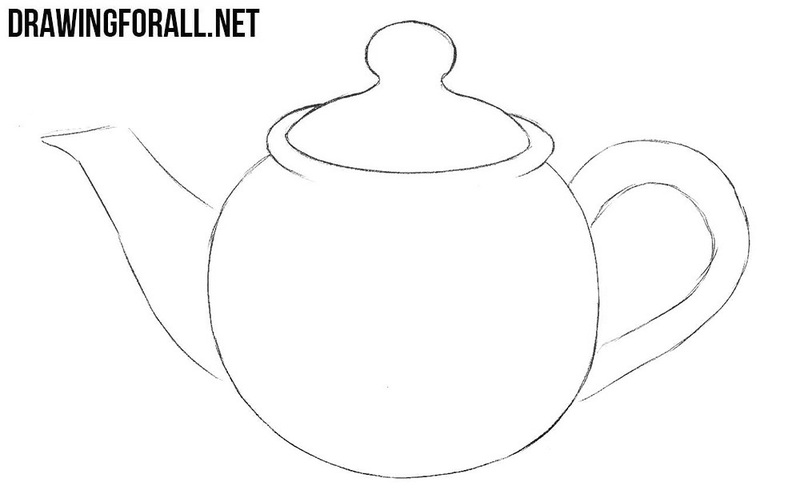 Now draw out the spout, body and handle of the teapot as well with clear and smooth lines. 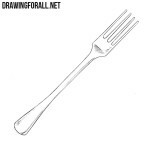 Now let’s add some shadows and glare with light lines and hatching. 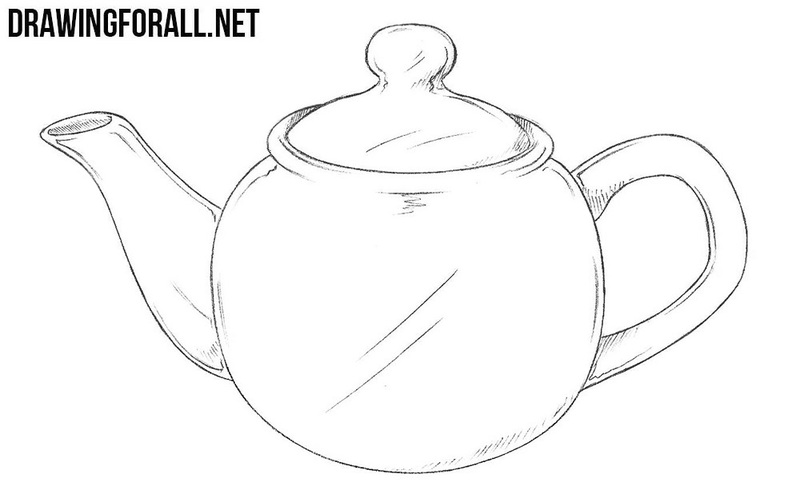 This lesson was devoted to how to draw a teapot. 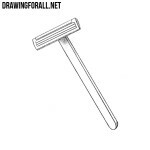 We remind you that we have a lot of lessons on various kitchen appliances and other items. If you are interested, visit these lessons. 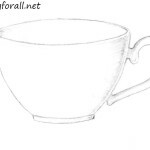 We also want to remind you that we have not only this site, but also pages in all known social networks. Pay special attention to our pages on Facebook and Pinterest – there you will find not only announcements of our lessons, but also shortened versions of our tutorials.